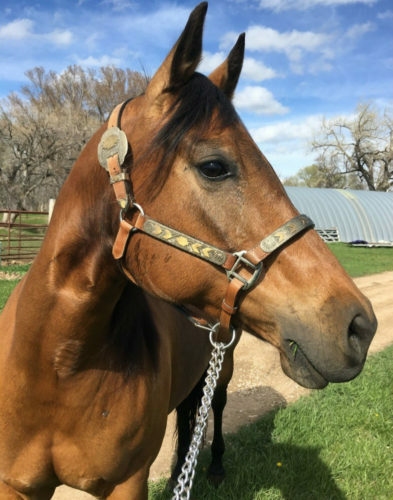 disciplines ,breeding, roping, ranch, ,horse,team, penning, trail,riding,all around halter. Kit Kat Double Kate (Tanner) is a 9 year old, 15.1 hh, fancy buckskin mare. In a bridle, halter or just with a rope around her neck she will slide, spin, sidepass and back at your pleasure. 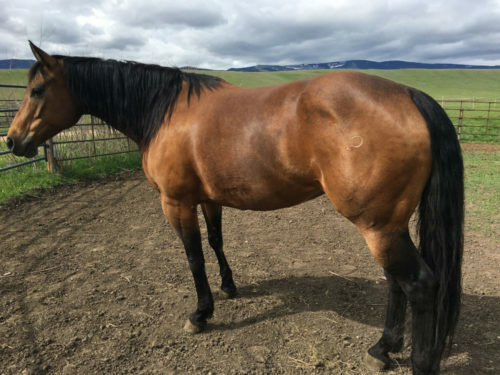 This well built mare has very good manners and is flat broke to ride. Tanner moves off leg pressure, travels out nicely and is as good outside as she is in the arena (we rode her in the desert all winter.) She ropes both ends with tons of speed and rate and scores quietly in the box. Watch her rope back to back steers, changing ends, in the video. Tanner is a pleasure to be around. She stays broke with time off, is good around other horses and has no vices. Best of all, she is gentle enough for anyone to ride. 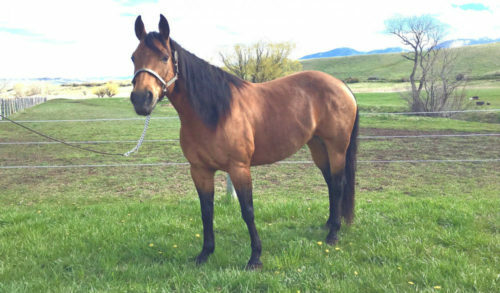 This mare truly wants to please and will make a nice horse for anyone smart enough to take her home. Come try her before the sale and we know you will be impressed. She sells June 3, 2017 in the Bots Sots Remount in Sheridan Wyoming. PHONE BIDDING AVAILABLE! For more information CONTACT akitapuppies315@gmail.com.